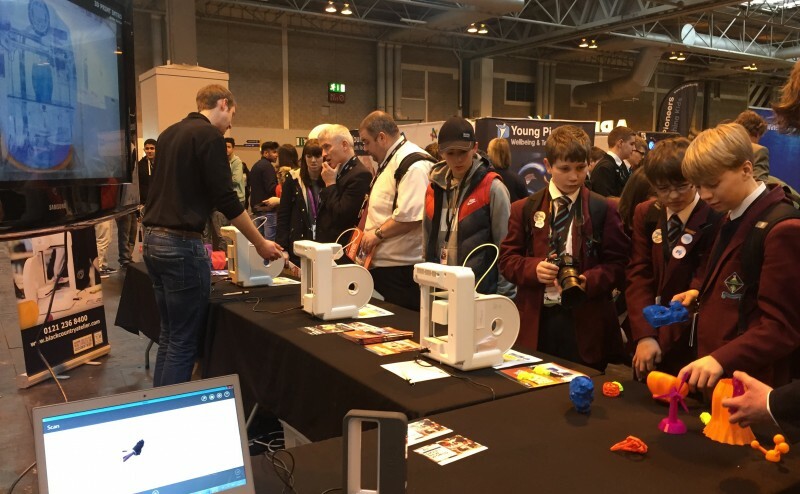 BCA will be showing visitors our new exciting 2015 curriculum – covering 3D Printing, 3D Scanning and Smart Product Design and Manufacture at The Big Bang Fair from 11th to 14th March. We are glad to be back this year to help educate students, teachers and parents about the greater learning outcomes connected with emerging technology and the importance they have on future career paths. Our presence will be building on the success of the TCT, Euromold and Clothes Show Live events. BCA will inspire STEM awareness in key-stages 2, 3, and 4. Visitors will get the chance to see 3D Printing and 3D Scanning in real time. If you are interested in 3D Printing, our other technology courses or teacher training then please visit our stand T24A Hall 18.